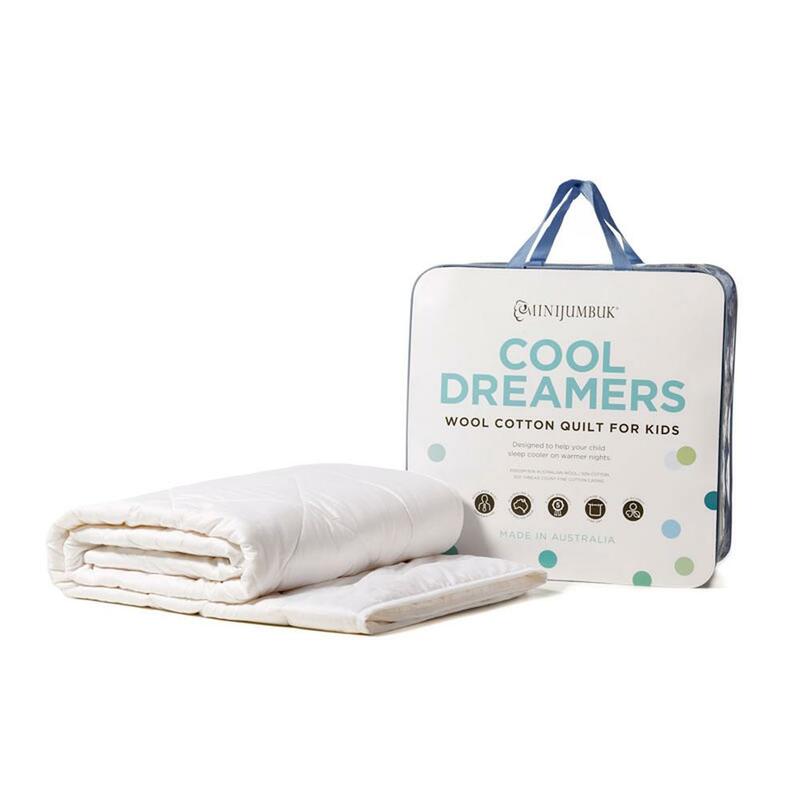 The natural way to keep kids cool in summer, the Cool Dreamers quilt has a blend of 50% Australian wool and 50% Australian cotton. The light 200gsm filling and pure cotton casing makes this quilt the perfect choice for comfortable summer and warm climate sleeping. 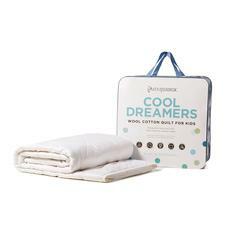 This unique combination aids the body's natural cooling process, keeping your child comfortable during warm nights.